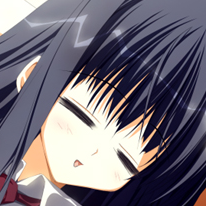 Valve threatening to remove VNs with adult content from steam? A lot of folks on the dev side of things are having collective strokes right now. Around this time last year, Steam told lots of developers and localization publishers alike that "what was okay" was 1. Proper age-gating for games with sexual content and 2. Censorship of genitalia. This is basically a complete 180. I wonder if this has anything to do with the Maidens of Micheal disaster? I've also seen some people say it might have something to do with supposedly new digital age restriction laws in Washington (the state where Valve is based), which doesn't quite add up - why would eroge and games like Huniepop get hit, but not Western(-style) AAA games that also have sexual/adult content like Witcher 3? It doesn't help that Valve has a weird way of managing things internally which is what results in all these inconsistencies and flip-flopping. I love thinking about sound design in visual novels. To keep this post short I'll just post my two favorites. I've always been fond of SubaHibi's "Tractatus Logico-Philosophicus". Whenever this played when Ayana popped up I nodded and went "ah, it's Ayana-san". It feels more like "Subarashiki Hibi" than any other track in the OST to me for some reason. And then there's Narcissu's "Suppressed Lies". It really does feel like a song about suppressed lies. It weighs down on the heart and gives off a very lonely feeling, much like the rest of Narcissu. Woah! Hello! I was not expecting this many replies! Thank you for the warm welcome, everyone. I was a bit of a strange kid in middle school (before YMK I was a big fan of Yume Nikki; I don't think most middle schoolers have the patience to play a depressing walking simulator), so I guess you could say I'm an outlier. I was primarily attracted to it because it dealt with tough subjects, and the OST was beautiful. 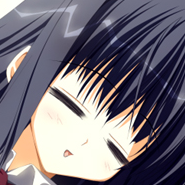 Though I have heard of other people having Yume Miru Kusuri as their first visual novel. Thank you! I still think your name is great. Isn't she? Even though she takes forever to talk, I still like listening to her lines because her voice is so cute. And that scene breaks my heart. It hurts even more if you've read what it's referencing...Night on the Galactic Railroad is pretty depressing for a children's book. Thank you! I'll be sure to get in touch when I've finally annihilated my backlog.